Only 15 minutes from Paris Saint-Michel Notre Dame by Metro and with good transport links via the A86, A6, A10, N20 and Orlyval, the Hotel de Berny offers modern accommodation and free Wi-Fi. Near the beautiful Parc de Sceaux, Jogging enthusiasts will appreciate "les jardins à la française". The air-conditioned rooms, combining charm and technology, meet the desires of a demanding clientele. Private parking is available. For an aperitif or for a last drink in the late evening, the hotel's bar welcomes you throughout the day in a friendly atmosphere. 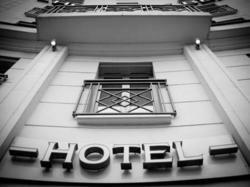 Its proximity to Paris and industrial areas of Antony, Châtenay Malabry or Rungis makes the hotel an ideal place for business and tourism. This air-conditioned room offers a flat-screen TV, a minibar and an en suite bathroom with a walk-in shower. This spacious family suite features a desk, coffee machine and air-conditioning. Please let the property know in advance the number of guests in the room. This larger, air-conditioned double room features a flat-screen TV with satellite and sports channels, a minibar and an espresso machine. There is also a safety deposit box and a desk. The private bathroom has a bath or a shower, bathrobes and slippers. This suite has air conditioning and a seating area with a sofa bed. Please let the property know in advance the number of guests in the room.